I was invited to attend #TheNewKia Event on behalf of Kia. All opinions are my own. 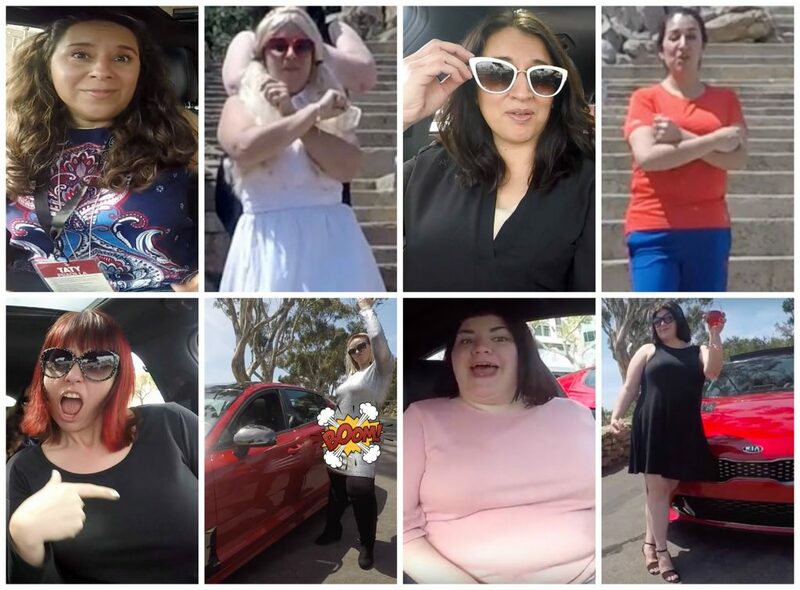 I attended #TheNewKia event in San Diego last week, where influencers were flown out to experience the new Kia Stinger. 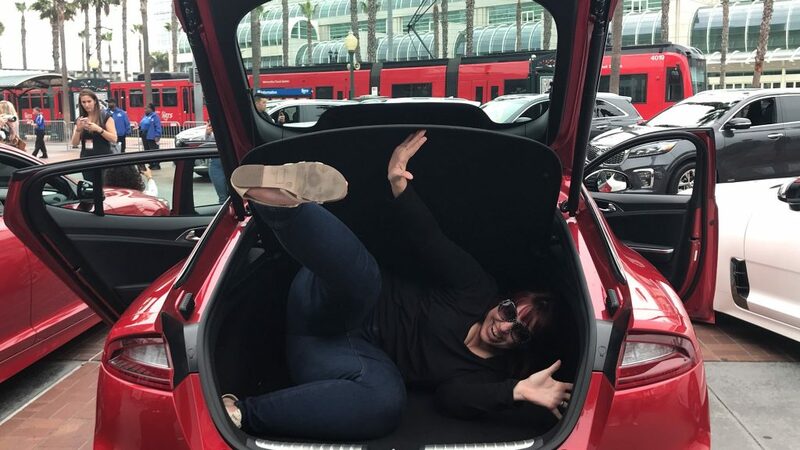 How did I end up in the trunk of a Kia Stinger? 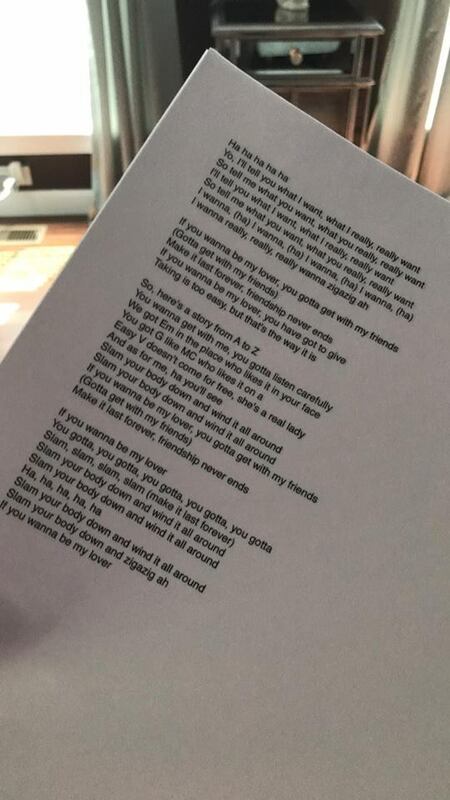 Read on. My favorite part when attending a press junket is the company in attendance, not only do we hobnob with the brands top PR dudes & dudettes but we also meet up with other top influencers who “get” eachother and what we do. 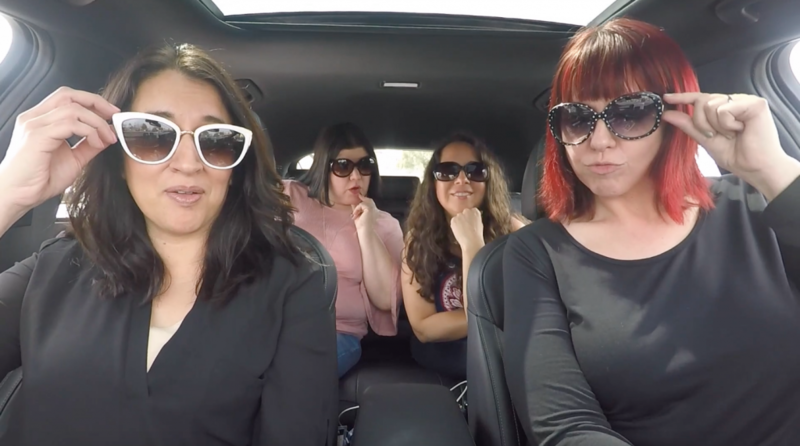 This particular trip for #TheNewKia event, had influencers not only put to the task to check out the new Kia Stinger but we were also challenged to a contest to make a “carpool karaoke video”. A contest? With a winner? Oh challenge accepted Kia, challenge accepted. The rules were simple, we were to form teams of two to four and use the Harman/Kardon Audio System to play a portion of any song. We must shoot a short video in 90 seconds or less of ourselves rocking out inside or outside the Stinger and submit it by 5PM that evening. The pressure was on. It all happened so fast, I can not even begin to tell you how our group was formed but isn’t that how magic happens? Pre-trip, the contest was announced and within the hour our group was formed: ‘The Spice Stingers”, our song was chosen: “Wannabe” by the Spice Girls and our creative juices were in overdrive (total car pun there). It was apparent early on our group was the perfect mix of everything, there wasn’t a “No, I am not doing this.” in sight. We were in it to win it and now we had to bring it! As the ideas started to flow, we each began to settle into our Spice Stingers roles. Oh, I guess i should introduce you to the newly formed group. Magic does not just “happen”, ya’ll. The formula for our success came with a bit of luck, a bit of hard work, a bit of creativity and a lot of team work. You would think with OCD Amy taking the reigns, there would have been bickering. You would think wrong. While having the time limit did get a little stressful at times, we just rolled with it. There was not an eye rolled, not a negative comment made, nothing. As a matter of fact, our success that day was in the bonds we made with one another. We knew eachother before this trip, before this contest, but in making this video sometime deeper happened. We encouraged eachother, we lifted eachother up all the while smiling (and laughing) through it. Success DOES comes from lifting one another up. 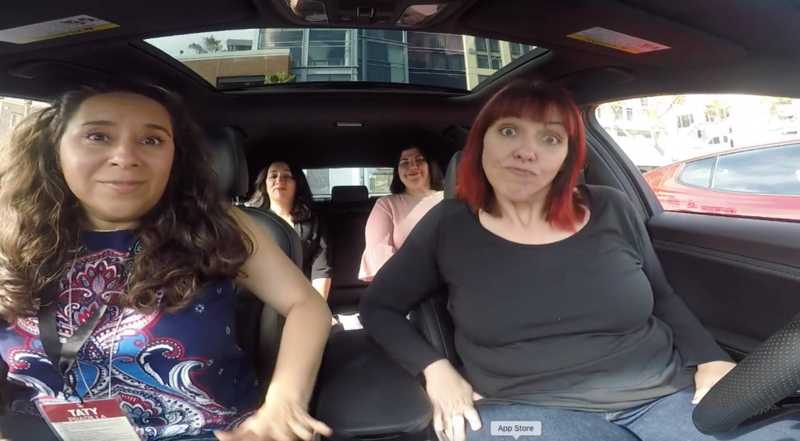 Yes, I popped out of the trunk of the Kia Stinger with a donut. Yes, we won the contest. Yes, we developed memories and friendships that will last a lifetime. And yes, the embarassing moments in this video was worth every second. I hope you enjoy viewing the video as much as we enjoyed making it!